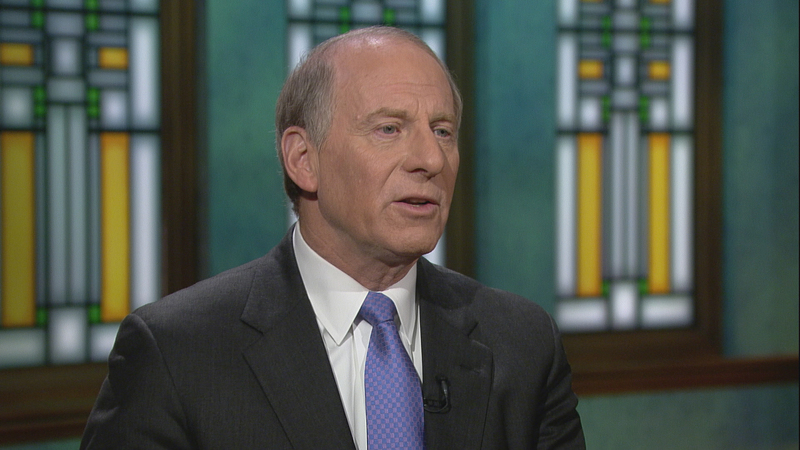 For 14 years, Richard Haass has been president of the nonpartisan Council on Foreign Relations. He served as a senior Middle East adviser to President George H. W. Bush, and was director of the Policy Planning Staff under Secretary of State Colin Powell. Haass was also a U.S. coordinator for policy toward Afghanistan and an envoy to the peace process in Northern Ireland. He joins us in discussion. On June 23, 2016, a narrow majority of those British citizens who went to the polls voted in favor of a referendum that called for an end to their country’s membership in the European Union. If Brexit actually happens, it could lead to the breakup of the United Kingdom and a partial unraveling of the EU. If this was to occur, the historic project of European integration born in the wake of the Second World War, an accomplishment that has brought unprecedented prosperity and stability to a continent that had all too often known war, would be placed at risk. Also at risk would be the so-called special relationship between the United States and the United Kingdom, often America’s closest and most important partner and ally in the world. But even if Brexit or the worst of it is somehow avoided, that it garnered the support it did tells us that there are fewer givens in the world than many of us— indeed, most of us—assumed. Populism and nationalism are on the rise. It is significant that Donald Trump, the winning candidate in the recently concluded American presidential election, called for putting America First. What we are witnessing is a widespread rejection of globalization and international involvement and, as a result, a questioning of long-standing postures and policies, from openness to trade and immigrants to a willingness to maintain alliances and overseas commitments. All this is a far cry from the optimism and confidence that were just as widespread a quarter of a century before. One source of this mood was the fall of the Berlin Wall on November 9, 1989. This was followed less than a year later by a remarkable coming together of the world to turn back Saddam Hussein’s effort to conquer Kuwait, something that led President George H.W. Bush to speak of his vision of a new world order. Now, some twenty-five years later, it is clear that no benign new world order materialized. What exists resembles more a new world disorder. If there were a publicly traded stock called “World Order Incorporated,” it would not have crashed, but it would have suffered a correction, losing at least 10 percent of its value. The world might even be entering bear market territory, something normally associated with a fall of 20 percent. What is worse, no rally is in sight; to the contrary, the trend is one of declining order. This is not to deny the existence of important examples of stability and progress in the world, including an absence of great-power conflict, a degree of international cooperation managing some of the challenges associated with globalization, and considerable coordination among governments and institutions in regard to many aspects of international economic policy. There is as well the fact that more people than ever are leading longer and healthier lives, that hundreds of millions of men, women, and children have been lifted out of extreme poverty, and that more people enjoy what can be termed a middle-class life than at any other time in history. Indeed, there is a body of writing that argues just this: we are better off than the apostles of doom and gloom would have you believe. Or to paraphrase that old saw about Wagner’s music being better than it sounds, the world is better than it looks. As attractive as this optimistic worldview might be, it doesn’t hold up. It would be naïve and even dangerous to ignore worrisome developments and trends in the world, including increased rivalry among several of this era’s major powers, the growing gap between global challenges and responses, the reality of and the potential for conflict in several regions, and political dysfunction and changes going on within many countries, including the United States, that are likely to make it more difficult to design and implement a foreign policy that can help the world contend with all the threats to order. The result is a world in which centrifugal forces are gaining the upper hand. As for the title of this book, the word “disarray” was chosen advisedly. I say this to highlight that “anarchy” and “chaos” were rejected. Neither applies to the world, although what is taking place in the Middle East is too close for comfort. “Disarray” captures both where we are and where we are heading in the world better than any other word. Why and how did this happen? How did the world get from that moment of optimism to where it is today? Was this journey inevitable or might things have turned out differently? And where are we precisely? What about today’s world should be thought of as simply the latest chapter in the long march of history and what constitutes something fundamentally different? To be sure, many things look bad, but how bad in fact are they? Might they get worse? And of course there is the question of what, if anything, can and should be done about them. The purpose of A World in Disarray is to address these and related questions. From A World in Disarray: American Foreign Policy and the Crisis of the Old Order by Richard Haass. Reprinted by arrangement with Penguin Press, a member of Penguin Group (USA) LLC, A Penguin Random House Company. Copyright © Richard Haass, 2017. My motivation for writing this book grows out of a judgment that the twenty-first century will prove extremely difficult to manage, representing as it does a departure from the almost four centuries of history—what is normally thought of as the modern era—that came before it. I am deeply concerned about the potential consequences. Mark Twain said that history may not repeat itself but it rhymes. On occasion this is true. But my larger point is that the future is less likely to rhyme with the past (much less suggest harmony) than it is to strike a note that is qualitatively different and more often than not discordant. Dec. 20: As Aleppo falls to Syrian government forces backed by Russia and Iran, we look at the United States’ role in the conflict and the region. Jan. 9: What can we expect from U.S.-Russia relations under the Trump administration?